Flexible wings are set to make air travel cheaper and quieter in the future, as the next generation of passenger aircraft is likely to adopt the new technology. 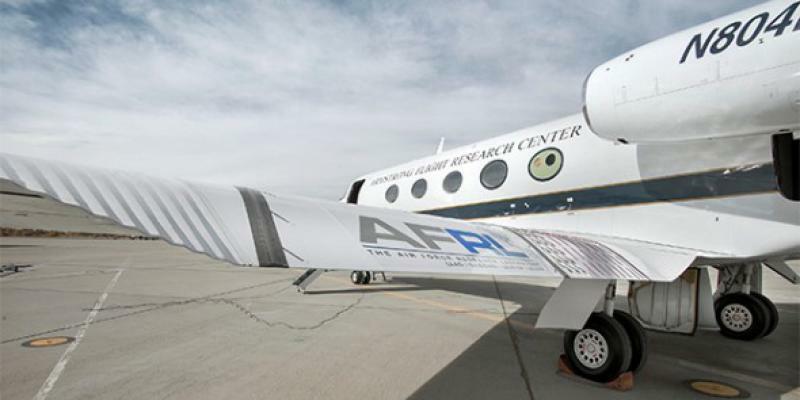 Successful tests announced recently by NASA in conjunction with the company Flexfoil have seen a Gulfstream III jet fly a number of times in different conditions with shape-changing wings. Drag is a major factor in fuel consumption for aircraft in flight, and one of the areas designers have so far struggled to reduce it is on an aircraft's control flaps. Those are the flaps most travellers only notice when they extend on landing - when they are actually meant to cause drag. The flexible wings use advanced lightweight materials to create a continuous surface, rather than having separate hinged flaps, full of holes and hard edges. The developers estimate an aeroplane fitted with them could use up anything up to 15% less fuel than conventional aircraft. In addition, a significant part of the noise audible both in aircraft and on the ground comes from the effect of air on the control surfaces. The flexfoil wing reduces this noise greatly.